It’s popular, in some circles, to find links between creative genius and mental illness. Among composers, Robert Schumann—who attempted suicide after years of inner torment—is usually Exhibit A, but there are others who are regularly mentioned, as well. My own view is that the so-called link is no link at all. Number one, I think you’d be hard-pressed to prove that the incidence of mental illness is any greater among great composers than among the general population, and number two, and more importantly, it’s crucial to remember that those geniuses who suffered from mental illness created great works not because of their afflictions, but despite them. Not only should we admire their genius, in other words, we should admire their tenacity in the face of pain—their courage. It’s certainly true that the work of creative artists springs from the complicated depths of their personalities. But perfectly healthy people have complicated depths, too. Genius is disconcerting, because we can’t explain it. But that doesn’t mean we should try to cut it down to size by forcing it into a category with illness. 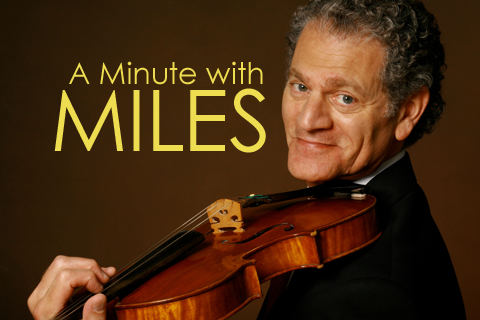 A Minute with Miles - a production of South Carolina Public Radio, made possible by the JM Smith Corporation.